Copy and paste is one of the best features we have at our fingertips, especially when combined with keyboard shortcuts. You can’t argue that copying and pasting is one of the most common things we all do, no matter what technical skill you might have. But there has always been a gap in the copy and paste method. That is that once you copy something, you better intend to paste it somewhere else right away or you might forget and overwrite it. Why can’t there be a larger capacity on the clipboard – seems pretty simple, I’d say. There are, however, programs that can provide this function for you. The subject of clipboard management utilities is no scarce topic on MakeUseOf. In fact, there have been several articles in the past that have featured some of the best. However, residing in the comments of those articles have been some excellent suggestions of programs made by you, the readers. So below, here are six excellent clipboard management utilities which are all unique in their own way. Kana Clip is a free, simple, portable and compact program. It functions via the keyboard shortcut Ctrl + Alt + Insert (occasionally abbreviated “ins”). You can see in the screenshot above what the context menu looks like and there are some options that branch off it as well. Currently Kana Clip is Windows-only. It’s features include adding the current time and date managing the permanent clips, using permanent clips to add predefined text and create sub menus to manage text better, refreshing the clipboard monitoring process if interrupted by another program and hiding the system tray icon. Kana Clip was recommended in the comments of the article 4 Great Alternative Clipboard Managers For Windows 4 Great Alternative Clipboard Managers for Windows 4 Great Alternative Clipboard Managers for Windows Read More . Recommended by a reader in the comments of the MakeUseOf article, The 3 Best Clipboard Managers For Windows The 3 Best Clipboard Managers For Windows The 3 Best Clipboard Managers For Windows The Windows clipboard can only hold one single item, so whenever you copy something else, the previous item will be discarded. If you didn't mean to lose what you had copied earlier that can be... Read More , Clip History is a great option if you want more of an interface than what Kana Clip provides. The left pane is the History – what you’ve recently copied to the clipboard. The right pane is known as Stickies, or permanent clips, which can’t be overwritten like the history. This is great for things that you know you will need to access further in the future, such as canned email responses. One feature that really stands out with Clipboard History is how it handles links. Have you ever received a link in a message that was so long it was broken up and was no longer hyperlinked? No worries. Just copy the entire link, Clipboard History will join the link back together and all you have to do is paste it into your browser and go. Clipboard history is available for Windows and is also capable of being run off a USB device, such as a flash drive or portable hard drive. PhaseExpress is a very full-featured clipboard managing utility. It has a tree-style folder structure for managing all sorts of folders. It came with some preset categories, but you can add and remove any to customize it to your own liking. This isn’t just a basic clipboard manager, but a text manager and autocompleter Type Faster & Autocomplete Text with PhraseExpress Type Faster & Autocomplete Text with PhraseExpress Read More . You can use it to store any used phrases that you’d ever want to reuse or that you commonly use. There are so many settings, that to cover it thoroughly, a whole article has to cover it PhraseExpress - A Great Alternative Text Replacement Tool PhraseExpress - A Great Alternative Text Replacement Tool Read More . Although there have been a couple of articles on MakeUseOf about PhaseExpress, it was also recommended in the comments of the article 4 Great Alternative Clipboard Managers For Windows 4 Great Alternative Clipboard Managers for Windows 4 Great Alternative Clipboard Managers for Windows Read More . If you’re a Windows Sidebar fan, this one is for you. 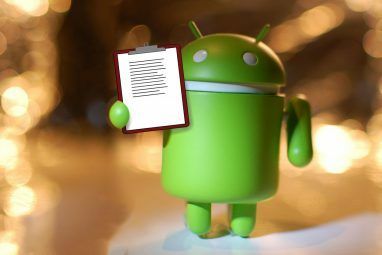 Clipboard Manager is an awesome gadget which has lightly been covered and mentioned in a couple of articles on MakeUseOf as well as being recommended by you in the comments. I was quite impressed at the overall usability. Like all gadgets, you just download and add it to the sidebar and it’s ready to use. No installation needed. Clipboard Manager is the only utility so far in this article that has been compatible with both images and text, which was a nice surprise. Of course you can customize the color, history capacity, font size as well as several other options. Clipboard Manager was suggested to us in the comments of 4 Great Alternative Clipboard Managers For Windows 4 Great Alternative Clipboard Managers for Windows 4 Great Alternative Clipboard Managers for Windows Read More and Tina covered briefly it in 2010 Top 7 Coolest Windows 7 Desktop Gadgets You Have To Use Top 7 Coolest Windows 7 Desktop Gadgets You Have To Use Gadgets are always cool to have. They add functionality to your desktop and generally make your life easier. Last but not least, they help you express your individuality. Read More as well. CtrlSee is a Windows-only clipboard management program that supports images, along with being very simple. The preferences only contain a hotkey, opacity, startup and clear all history options. If you are looking for an easy-to-use, simple utility that specializes in both text and images, CtrlSee – suggested to us in the 4 Great Alternative Clipboard Managers For Windows 4 Great Alternative Clipboard Managers for Windows 4 Great Alternative Clipboard Managers for Windows Read More article – is the utility to get the job done. Hamsin Clipboard is somewhat between some of the others that have been previously mentioned already. It has an abundant amount of features, with the lack of any real user interface aside from the configuration window and context menus. That said, it’s a very powerful utility controlled through hotkeys (keyboard shortcuts) and pop up menu via the tray icon. To give you an idea of what all it can do, below are the three images displaying each of the tabs in the configuration window. Hamsin Clipboard tracks the history of the last 10 clips and can paste several copied clips automatically one after the other or even merged together. It also can save favorite or commonly used clips for future use. Hamsin Clipboard is Windows only. Save.me’s UI (user interface) is the first thing you’ll notice – and it is quite easy to use. The second thing you’ll notice is the abundant features, despite its simplicity. There is certainly a good balance of both and it is a well rounded program. There’s not enough room to do a complete review of it here, but Craig did an excellent walkthrough Save.me Brings Clipboard Monitoring To A New Level [Windows] Save.me Brings Clipboard Monitoring To A New Level [Windows] It only took me one or two disasters in losing huge blocks of copied text to cave in and download a third-party clipboard manager for Windows. While there are many, like ClipTrap, I've found that... Read More article on it. Whenever you copy a link, text or image, it is displayed in the preview column to the right. But what is more impressive is that when links are copied, the preview isn’t just a link or even a snapshot of the page, but completely interactive. This means if you want to select more info through the page and copy it, you can. Not to mention you can click links, even play videos. This text and image clipboard utility is probably one of the most well-known in this category. It is operated through the tray icon or hotkeys. Ditto has been mentioned twice previously on MakeUseOf (4 Great Alternative Clipboard Managers For Windows 4 Great Alternative Clipboard Managers for Windows 4 Great Alternative Clipboard Managers for Windows Read More and The 3 Best Clipboard Managers For Windows The 3 Best Clipboard Managers For Windows The 3 Best Clipboard Managers For Windows The Windows clipboard can only hold one single item, so whenever you copy something else, the previous item will be discarded. If you didn't mean to lose what you had copied earlier that can be... Read More ) and it deserves to be mentioned again. There are a lot of customizations that you can access by right clicking the tray icon and going to Options. From that same context menu you can access the Global Hot Keys, import clips, add new clips, access the help window and disconnect Ditto from the clipboard. Ditto is for Windows and portable as well. A simple modern interface with only the necessary functions – that’s what xNeat Clipboard Manager is. 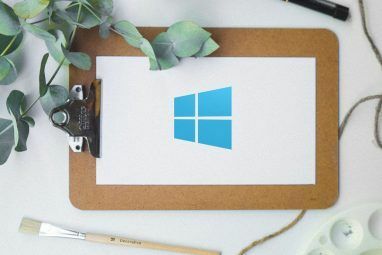 Previously covered here on MakeUseOf The 3 Best Clipboard Managers For Windows The 3 Best Clipboard Managers For Windows The Windows clipboard can only hold one single item, so whenever you copy something else, the previous item will be discarded. 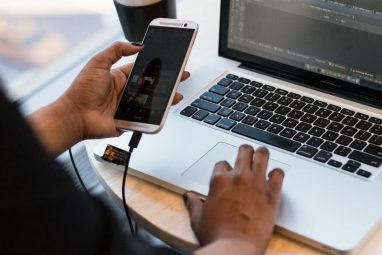 If you didn't mean to lose what you had copied earlier that can be... Read More , xNeat Clipboard Manager offers the barebones essentials without a barebones interface. What you see at the top is the settings. Not much right? That’s because for the basics of a clipboard manager you really don’t need a whole lot of settings. The majority of the settings usually are overwhelming to the average user and they tend to just stop using those programs altogether. With the simple keyboard command Ctrl + Shift + V, you instigate a context menu with the past 10 (or more) items in the history of your clipboard. Note that both the keyboard command and maximum history size can be adjusted. ControlC is different from all of the other utilities covered in this article. It is a clipboard manager that allows you to store your data in the cloud. The installation is very fast and you must create a password before using (don’t forget it! How to Create a Strong Password That You Will Not Forget How to Create a Strong Password That You Will Not Forget Do you know how to create and remember a good password? Here are some tips and tricks to maintain strong, separate passwords for all of your online accounts. Read More ). Once it’s running, start copying away. You can see what is all on your clipboard by left-clicking on the tray icon. There are some advanced search options and you can see that ControlC supports images, text and files. ControlC is compatible with Windows. More can be read about ControlC and other similar programs in Saikat’s article, How To Store Your Clipboard Data & Share It Online How To Store Your Clipboard Data & Share It Online How To Store Your Clipboard Data & Share It Online The clipboard is something we use probably every few minutes, but seldom see. Like an invisible help it stays out of the way and carries whatever we cut and copy to every corner of our... Read More . 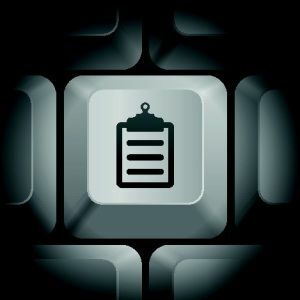 Do you currently use a clipboard management tool? Did you even know there was an option for such? I can tell you that when I started using one, it changed how I used any text-based program. Share your thoughts and experiences of using a clipboard manager with us in the comments. Try CopiPasta, it doesn't even require you to learn a new shortcut. It's still Ctrl C and Ctrl V with a memory. The Windows clipboard is often used not only because it's useful, but also because it's simple. Tt seems Only CopiPasta understands the importance of simplicity, speed and reliability, while other clipboard managers are loaded with too much features and options. Today I tried Ditto. After installation on Win7 backspace malfunctions. Most of the time Quick paste does not work. While tryong to launch the application from the system tray the app gets stuck. Not so good as praised in the blog. Now uninstalled it. Wow!! Almost 4 years and no-one has noticed that it's PhraseExpress and not PhaseExpress. I am using Save.me and sometimes also Clipmate, both are wonderful. You might also try Shapeshifter!! Save.me is great, now I'll check the others too. Thanks for this article nice managers. I didn't know about some of these. No one can beat Ditto. No one. Omg... so many clip board apps! Now I don't know which one to choose.. all of them are good. Thanks for your post. I've installed and tried ControlC, but I can't see it doing any web-based synchronisation. It just seems to be giving me a locally encrypted page of previous clipboard items. Am I doing something wrong or missing something? How did you get an online version of your clipboard? And do you or others know of any clipboard apps that sync automatically/instantly to a web service? Sorry for the late reply. I was going back through the comments and realized I hadn't replied to some I was wanting to. You're not doing anything wrong here. ControlC does exactly that. As far as automatically saving your clipboard items to the cloud, I was unable to find any good ideas upon a quick search, but I might pursue that idea more and see what I can come up with. I think you might like Saikat's article, which I linked to in this article: "How To Store Your Clipboard Data & Share It Online"
I'm very pleased with Clipboarder; simple and effective. Aaron - Thanks! I tried out xNeat and it works perfectly for me. Can you recommend something similar for my Android tablet? Sure! I personally don't have any recommendations for Android. Have you found any yet? Clipmate is by far the best. I tried Ditto and was very frustrated (Windows 8). I must point out that Clipmate is NOT freeware and the developer is closing in on making it compatible with Windows 8. I've tried various clipboard managers, but still return to Clipmate. Far more than just copy and paste. Includes image clipping and conversions, wonderful for producing mailing labels, loads of possible uses. Not free but worth every penny.